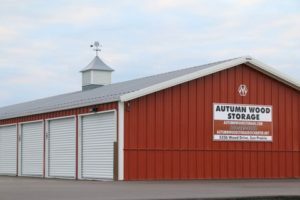 Autumn Wood Storage is the top Sun Prairie self storage company because we provide a variety of self-storage unit sizes for your personal or commercial storage needs in central Wisconsin. Take advantage of the security that our storage facility offers and we’ll keep you and whatever you are storing safe with video surveillance and our state-of-the-art coded gate entry system. Our mini-storage customers love the conveniences we offer, including online rentals, online bill pay, and easy access to storage units. Furthermore, we offer a variety of services including storage garages and construction vehicle parking. Contact Autumn Wood Storage today! 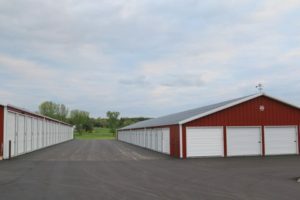 We know you have many choices available when you are choosing a storage facility in Sun Prairie. Therefore, we are grateful that you are considering us for your storage needs. Whether you are looking for extra space due to downsizing your home, relocating to another area, or any other reason, we have options to fit your needs. Make sure you take a look at the many benefits that renting storage space from Autumn Wood Storage will bring. Autumn Wood Storage is a leading self-storage company in the greater Madison WI area, and because of this our tenants trust us with some of their most valuable possessions. Because we are storage experts, we provide top options for long-term and short-term renters. As such, you will always receive professional service and top-notch quality from us. As a result of having many units from which to choose, we have a variety of unit sizes that can fit the needs of nearly any commercial customers or individuals. We have many options available for storage rooms and outdoor space for rent. Our lockable, controlled-access property is secure, and you can trust us with everything from your household items to business storage needs. Self-storage units are the perfect place to store valuable items that you don’t feel comfortable with having in your home. Valuable items, both large and small, will be safe and secure in a monitored and alarmed self-storage unit. If you are preparing your house for sale, using Autumn Wood Storage will be perfect for you. A cleaned up home looks bigger and sells faster, so storing your extra furniture and boxes far from home makes sense. People require enough space to have the capacity to live decently and peacefully. It can be exceptionally irritating to live in a home full of stuff that isn’t valuable. Storage units are extremely useful for families with limited space around the house. They can now keep their stuff without sacrificing the space inside their home. If you require more space for essential furniture, you don’t need to sell your stuff – simply keep them by utilizing the storage services provided by Autumn Wood Storage. It appears that each city and town has a self-storage unit every few blocks. There are a few reasons why these storage options are so prevalent. Today, people have more freedom than any other time in recent history, and these self-storage units enable them to deal with their own moving and storage needs. Furthermore, the units give a protected and secure approach to store belongings. Many feature security doors and even full-time security that guarantee that no unapproved individual accesses your possessions. Self-storage is a standout service that empowers nearly everybody to store their stuff securely. Self-storage units offer the highest level of security for your records and reports. You may not require the records now, but you would be devastated if they were stolen or destroyed. Utilizing a self-storage unit makes sure your records are in a protected bolted unit which is monitored and not accessible by anybody without your consent. You can store your reports with peace of mind because our self-storage facility is secure. You never know when you’ll need one of your important reports. You may think you’ll never need them, however, the day will inevitably come when you need something in particular. You can get to your property whenever you want and locate the correct record quickly. It’s always nice to keep your office space organized and uncluttered. Keeping all of your documents in your office will make that more difficult to accomplish. Self-storage units are extraordinary value for money. You can lease precisely the size you need, and you’ll be astonished at how cheap it is. 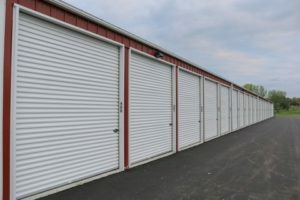 There are a few things that you ought to look for when decisind on Sun Prairie self storage units. While your particular needs may differ, having choices can guarantee that the experience goes easily. Every unit ought to be exclusively accessed by just the proprietor of the items being stored. It is ideal if the whole complex is gated. On the off chance that the area is particularly unsafe, a monitor ought to be available too. The exact opposite thing you need to manage is a burglary. It is additionally critical to consider whether the proprietor has insured the products kept in the units. A few proprietors give some form of protection to the products stored in their premises for the span of the contract. As an extra security, do some research into insurance agencies so you can know whether your present strategy covers products in self-storage offices. It is often best to buy your own rental insurance to make sure your belongings will be paid for in case of a catastrophic event. Finally, it’s vital to inspect the cost and value that self-storage units can offer you. Cost is usually in light of the size of the unit that you select, and additionally the option of any additional service. Some storage offices likewise offer additional service bundles, for example, moving supplies, so make certain to check. As any individual who has ever moved things knows, it can be a chore finding moving boxes that are affordable. So once again, be sure to check. Secure and safe self-storage is essential. You can’t rush into any choice; you have to ensure the contract you sign offers satisfactory protection for your items, and you have to ensure you are protected. If your items are valuable, then you stand to lose a considerable amount if something occurs at the storage unit, so give careful consideration and find the best arrangement for you. There are plenty of reasons to choose Autumn Wood Storage for your self-storage needs. Contact us today to learn more! Read suggestions on storage unit safety.